Graphic Design is a popular field and many people from all over the world take up this field and become graphic designers. Graphic Designers either work freelance on their own or work with an organization. Graphic design is a creative field where the graphic designers use the art and skill of combining text and images in advertisements, magazines, and newspapers and in particular web pages. To be a good graphic designer the designer must possess skills in Visual art design, typography, page layout, interface design, user experience design and print making. Graphic designers are involved in web designing in a major way and a good graphic designer must know all the tools to make fabulous graphic designs for websites. There are a large number of graphic designers in this field today. 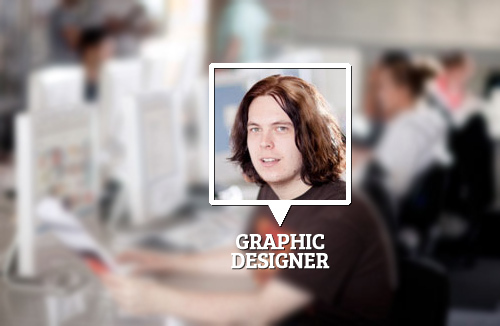 Many graphic designers work freelance on their own. As this is a very competitive field the graphic designers need to market themselves in order to be successful and not just rely on their skills. Even if a graphic designer is really good at the job, if the right marketing is not done this can lead to failure. And to be successful as a graphic designer and earn a good living from graphic design, designers need to market their skills. And this starts with a good portfolio. A good graphic design portfolio can make a person’s career. It is one of the most important tools to market the skills of a graphic designer. When graphic designers approach potential clients, the clients generally ask for the portfolio of the graphic designers. A portfolio is a document that highlights the work experience, skills and samples of graphic design that a graphic designers posses. The portfolio is a way to demonstrate the skills and talent of the designers to potential clients and also create a name and brand for the graphics designer. Graphic designers who have a design company as well as freelance graphic designers both can create their portfolios. These portfolios can be sent to potential clients and are also attached to the application for graphic design projects that the graphic designers are vying for. When the potential clients see the work experience and type of work that a graphic designer has done then they can evaluate whether the graphic designer is up to mark for what they are looking for in a graphic designer. Portfolio is a basis that is used by many clients to hire graphic designers. It is a great tool that helps market a graphic designer and also a great tool for potential clients to access the talents and skills of graphic designers before they hire them. A portfolio must contain past experience, some samples of the work done by the graphic designer and also include testimonials from past clients about the quality of work by the graphic designer. A portfolio should be honest and not exaggerate the designer’s skill. Overall a portfolio is very important for graphic designers. A portfolio can be very helpful for graphic designers in many ways. It helps them to win the heart of their clients and more. So, maintaining a portfolio is very important. Very informative and useful blog. There are many good reasons why portfolio is very important for graphic designers.